A native of N.J., Dr. Joel Bacon holds degrees in mathematics and organ performance from Baylor University in Waco, Texas, where he was a student of Joyce Jones, and an artist diploma in organ from the Konservatorium der Stadt Wien (Vienna, Austria), where he studied with Michael Gailit. With a dissertation on the use of organ in selected orchestral works, he earned his PhD in historical musicology through a joint degree program of Vienna’s University of Music and Performing Arts and the University of Vienna. Joel Bacon has a growing reputation as a performer, teacher and scholar in North America and Europe. He has been heard in recital in Germany, Austria, France, Switzerland, Canada, and the US, and live performances have been broadcast on Austrian Radio (1) and Public Radio International. He has taught at the prestigious Oundle International Festival (Cambridge, UK), at several Pipe Organ Encounters of the American Guild of Organists, and at other courses in the US and Canada. With the principal violist of the Munich Philharmonic, Albrecht Rohde, he has recorded a CD of music for viola and organ. 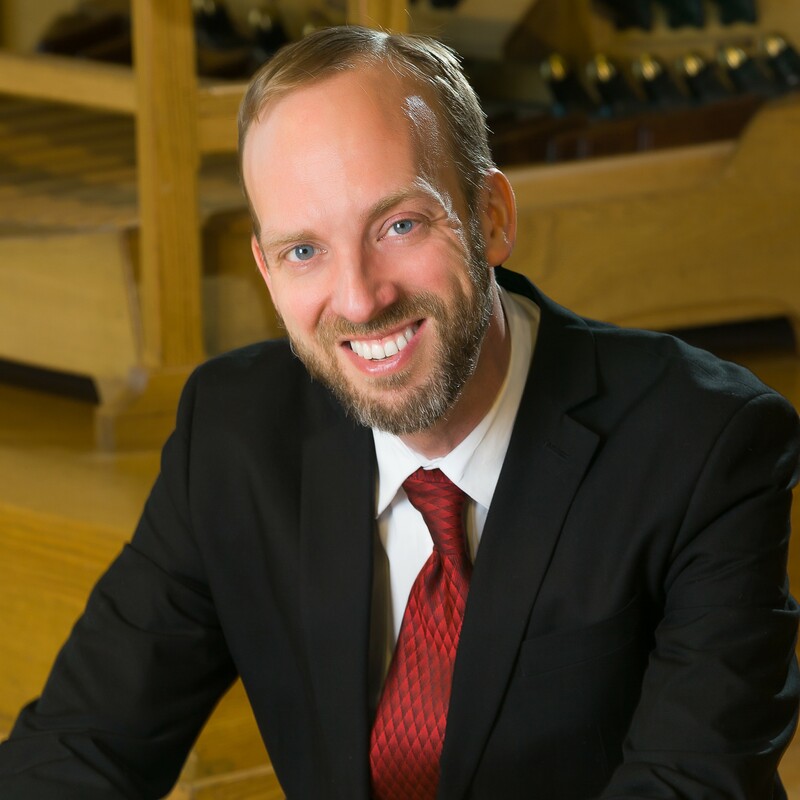 Joel Bacon currently holds the Stewart and Sheron Golden Chair in Organ and Liturgical Studies, the first endowed chair in the College of Liberal Arts. Before coming to CSU, he was assistant organist of St. Thomas Lutheran Church, Munich-Grnwald, and served as frequent guest organist at the former Hapsburg imperial church, St. Augustine, Vienna.